ertyu: I'm sad to say this is gone for good. New webcams can't be created and this site is not favorable for resuming operations. Thanks to those who found this unique cache. 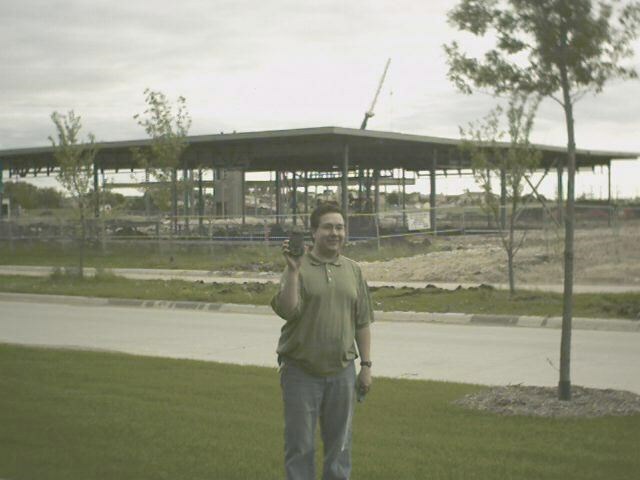 It's a webcam cache, so you need to provide an image captured from the camera of yourself holding up your GPSr to log the find. You'll need a helper to capture the image while you're standing there. Save the image of the camera, the static image page helps in this regards. Feel free to contact me if you need help. Smartpark: What was once a field has been turned into a bustling center for commerce and research. Besides the building pictured, three other facilities are under construction while three others have been completed since the initial sod turning in July of 2002.